Blog » Content Marketing » Content Marketing vs. Native Advertising: What’s a Better Value? Content Marketing vs. Native Advertising: What’s a Better Value? That’s how much is expected to be spent on native ads in 2018 (rising from just $4.7 billion in 2013). With those funds, marketers could raise the 14th largest military in the world. Alternatively, we could have fun with 840,000 hot air balloons, 150 million puppies, or 210,000 Teslas. You get the idea – we’re spending a lot of dough on content. 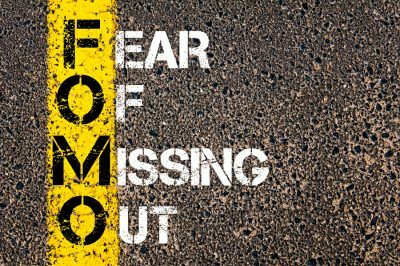 As outbound marketing tactics lose their edge, it’s no surprise that companies are increasingly investing in inbound strategies like content marketing and native advertising. With more than 840,000 hot air balloons on the line, we decided to look at whether native advertising or content marketing provides more bang for our buck. Fractl, the digital marketing firm where I work, collected survey responses from over 30 different content marketing agencies and used cost data from over 600 digital publishers (generously shared with us by our friends at Relevance). Using this data, we analyzed the reach, engagement, and value of content marketing and native advertising. How It Gets on a Site. 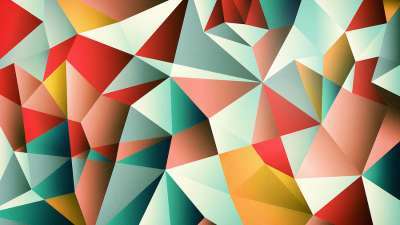 Native advertising is a pay-to-play strategy. Your native advertising campaign only gets placed on a single website if you pay a publisher to produce and place your content on that site. With content marketing, agencies produce content on behalf of brands, and pitch writers and editors at dozens of publications to cover their content. How It Looks on a Site. Native advertising is labeled as “sponsored” since a brand is paying a publisher to produce and promote the content on behalf of the brand. Content Marketing doesn’t need this designation since the publisher isn’t paid to cover the content – rather, they’re incentivized to cover the campaign based on its value to the publisher’s audience. How It Benefits a Brand. 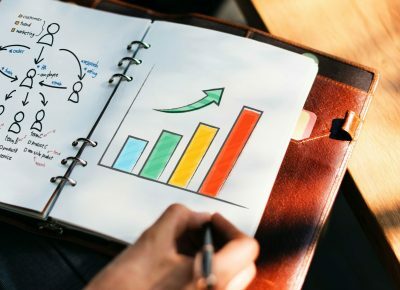 Content marketing’s ROI can be tracked through increased organic rankings and consumer engagement as a direct result of earning a diverse, high-quality link portfolio. In comparison, native advertising’s reach is limited to the number of paid publisher partnerships, and sponsored links aren’t allowed to pass search engine value. How Much It Costs. 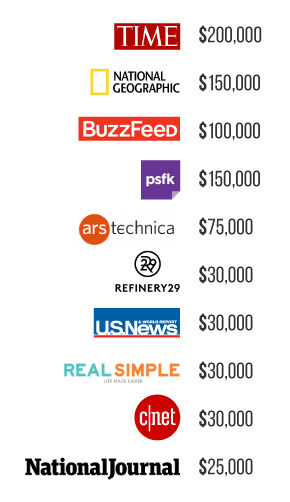 The average cost of launching a native advertising program with a top-tier news publisher is $54,014.29. Our agency survey found that about 82 percent of content marketing firms charge less than $50,000 for a monthly retainer. Native advertising costs differ by the authority of the publication. The average cost of launching a native advertising campaign with a top-tier news publisher was $54,014.29. The highest cost was $200,000. 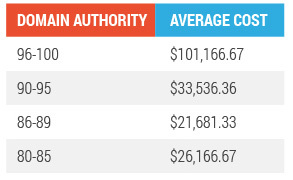 When we included all publishers with a Domain Authority (DA) over 80, the average cost of launching a native advertising campaign was $35,482.50*. 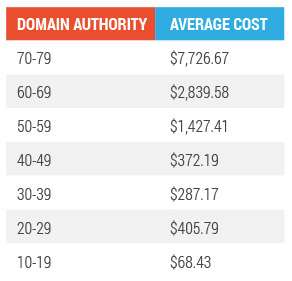 For sites with a DA below 80, the highest cost was $20,000 and the lowest was $10. Obviously, as DA gets lower, you get what you pay for. Lower authority means lower reach. 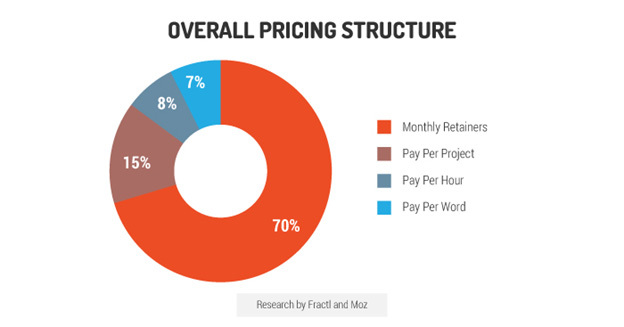 On the other hand, 70 percent of content marketing agencies charge monthly retainers. Like native advertising strategies, the prices varied greatly depending on the agency and the scope of the work. The average retainer was $12,447.06 with 82.3 percent of content marketing agencies charging less than $50,000 a month. Sixty-six percent of content marketing agencies produced between one and nine campaigns per client per month. On average, an agency produced eight campaigns per month. According to our survey of content marketers, 48 percent of clients measure content marketing success by the number of leads, high-quality links, and total social shares generated by each campaign. Native advertisers had some overlapping objectives, but their top three metrics of interest were click-thru’s (83 percent), social shares (70 percent), and awareness (61 percent). We can look at links and social shares to determine the success of native advertising and content marketing. We created a BuzzSumo analysis of 38 BuzzFeed native advertising campaigns. The BuzzFeed campaigns were calculated using all of the posts on a brand publisher’s page (e.g., Kindle). 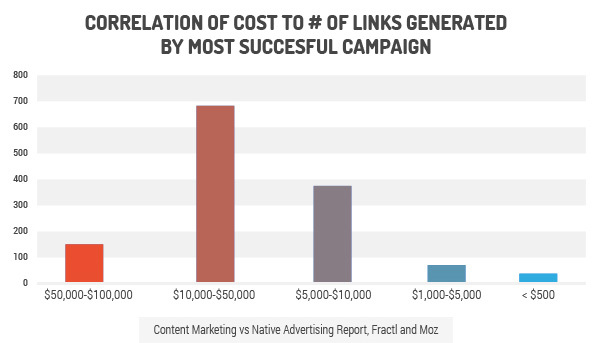 Including the BuzzFeed article as a pick-up, BuzzFeed native ads averaged 1.18 links per campaign. In contrast, excluding outliers on the upper end, the average content marketing campaign secured 27 links. 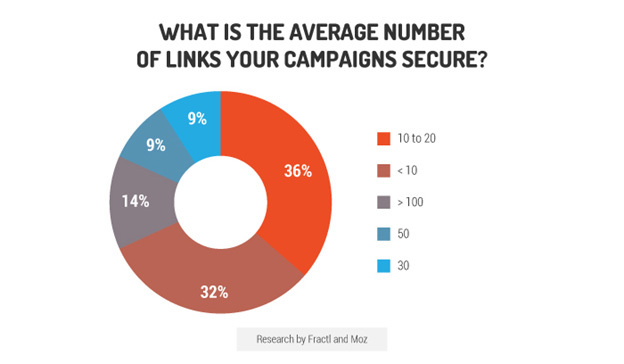 Regarding links, content marketing is the clear winner. The larger and more varied a site’s high-quality link portfolio, the better their ranking on search engines. Native advertising is not allowed to pass search engine value, so each BuzzFeed native advertising campaign only increased a company’s link portfolio by 0.18. Interestingly, we found that there was a sweet spot for links. Agencies that charged $10,000 to $50,000 for a monthly retainer had the necessary funding to launch the most successful campaigns. As mentioned above, social shares were important to both clients of native advertising and content marketing agencies. We pitted the 38 BuzzFeed native ads mentioned above with 58 of our own content marketing campaigns. For social shares, Fractl campaigns have received an average of 10,000 shares per campaign across 140 campaigns from 2013 to 2015. The BuzzFeed campaigns, in contrast, received around 4,600 shares per campaign. The appeal of native advertising is that you know exactly what you are going to get – placement on a high-authority site. If you are looking to target the readers of a specific journal (e.g., an important industry magazine), you can guarantee a spot. If you are working on a short timeline and need to boost your brand awareness quickly, native advertising may be your best bet. 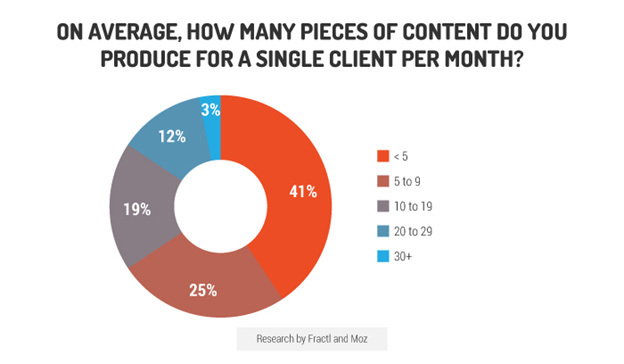 With content marketing, most agencies work on monthly retainers precisely because content marketing takes longer. Success rates are variable from campaign to campaign, however, over a longer period of engagement (three to six months), a well-chosen content marketing agency can guarantee a base level of success. 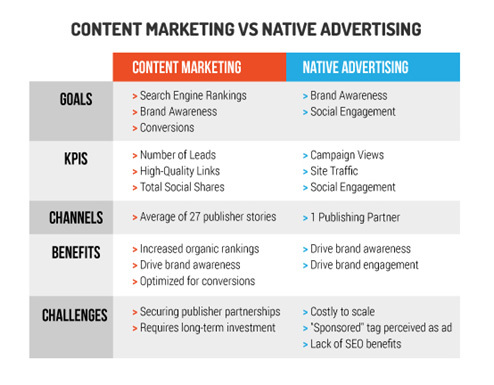 Many companies can’t afford to invest in both content marketing and native advertising. That’s why it’s so crucial to choose the marketing form that is right for your business. *All averages based on original values, not values displayed in the accompanying graphs. Lillian Podlog is a Marketing Associate at Fractl, a digital advertising agency that specializes in the science behind viral content.She is also the proud (and protective) mother of two guinea pigs. Connect with Fractl on Twitter @FractlAgency or reach out to Lillian @LillianPodlog.